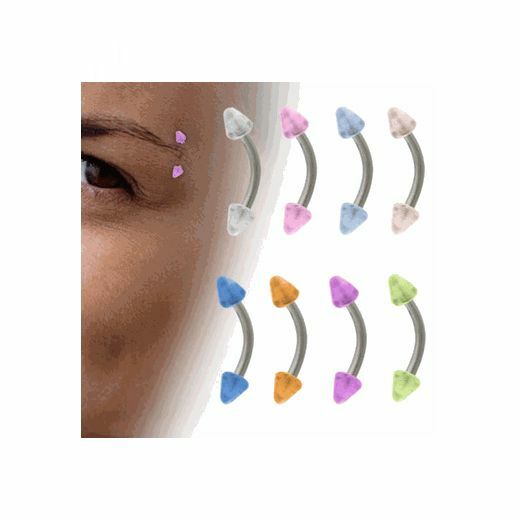 This is a 316L high grade surgical steel curved eyebrow ring with Glow in the Dark uv acrylic spike beads. Glow in the dark spike beads available in variety of colors. Size is available in 16 gauge, length 8mm or 10mm. Item sold individually. You get one item for the listed price. Please note that some bead colors glow more then others. Beads must be exposed to light first before you can see the glow.